Roberts trusts his readers to let the experience happen. As his art causes you to disjoint and disconnect from all that you know, it also forces you to examine that which is left behind. 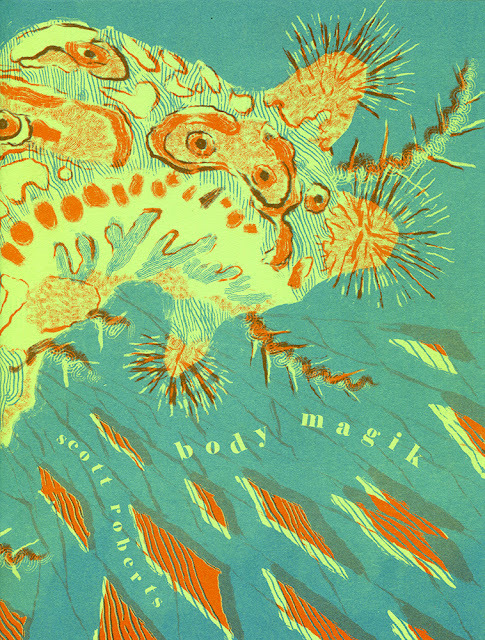 In that way, body magik once again demonstrates the importance of art and the inviolability of the dynamic between the artist and their audience. Note: I'll admit that this week's ICYMI is a bit thin -- this has to do with both the seemingly endless Twitter battle that critics seem to be fighting every day for legitimacy, and, more importantly, my getting ready for SPX (which, ironically, will be over when this posts)! 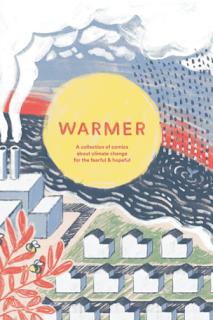 * Greg Hunter on WARMER an anthology about Climate Change edited by Andrew White and Madeleine Witt, a book that "reads like a product of conviction". * Rob Clough takes a look at the new book by Tom Gauld, BAKING WITH KAFKA. * Scott Cederlund's mildly awkward review of Ben Passmore's YOUR BLACK FRIEND. 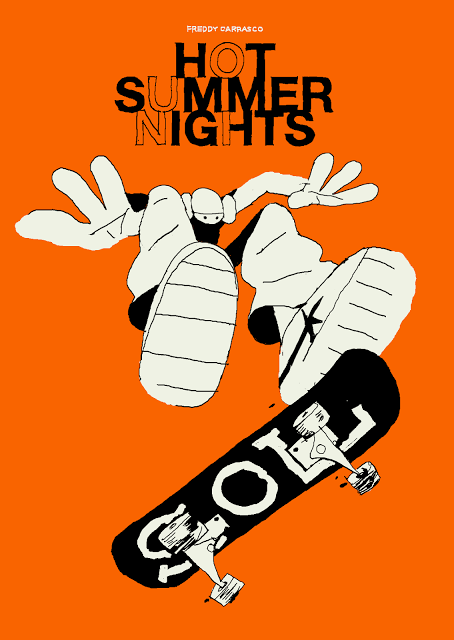 * Phillipe LeBlanc interviews RYAN SANDS about the return of Youth In Decline's amazing series Frontier! Can't tell you how great this news is. 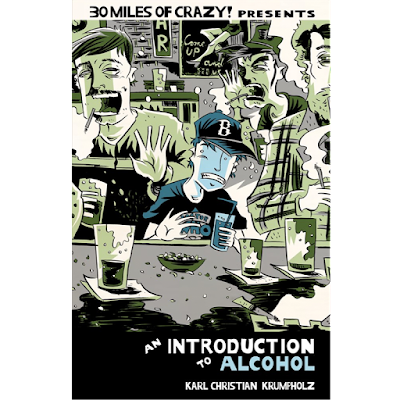 * A reading from An Introduction to Alcohol by Karl Christian Krumpholz and a SHORT INTERVIEW about his new comic. * Rebecca Fulleylove lets Breakdown Press' JOE KESSLER show us his most-treasured books! * While I may not entirely agree with everything Liel Leibovitz writes in WHY THE INTERNET IS BAD FOR THE JEWS, I think it is worth a read. * Charis JB's KNOW YOUR HATE GROUPS. The reader is left at the end of HUNK awash in both the naiveté of Watson’s messaging and an anticipatory sense of possibility. Watson is acknowledging that life often conspires to undermine all of our endeavors, while at the same time extolling the opportunity we have to choose happiness in the end. As it seems that the world is continuing to gather momentum towards chaos and destruction, a book such as this can help ward off despair. "This is humanity writ raw. Booth is holding up a mirror to aid in our reflection of all the minor struggles that our brains trick us into interacting with on a monumental scale. The reader sees themselves in Booth’s paintings, sunburned or killing houseplants, popping zits or choosing shoes, and says, “Yeah, that’s me. I see myself in that moment.”"
One of my favorite things about September, besides it being the start of autumn, the month of my birthday, the beginning of football season, and my annual pilgrimage to Bethesda, MD for SPX, is that it starts with the SF Zine Fest. If you’ve never gone, SF Zine Fest is one of those small events that brims with energy, excitement, creativity, and community. In the midst of all the muck that is this world nowadays, this little festival is a panacea, infusing you with a new sense of purpose and zeal. For me, it got me excited about comics again. 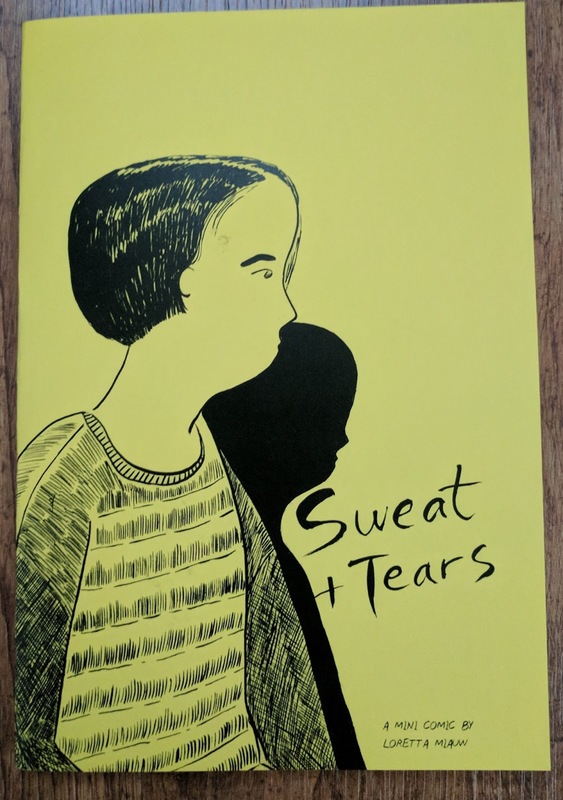 One of the books that caught my eye at SF Zine Fest this year was the yellow-covered mini comic by Loretta Miauw, SWEAT + TEARS. 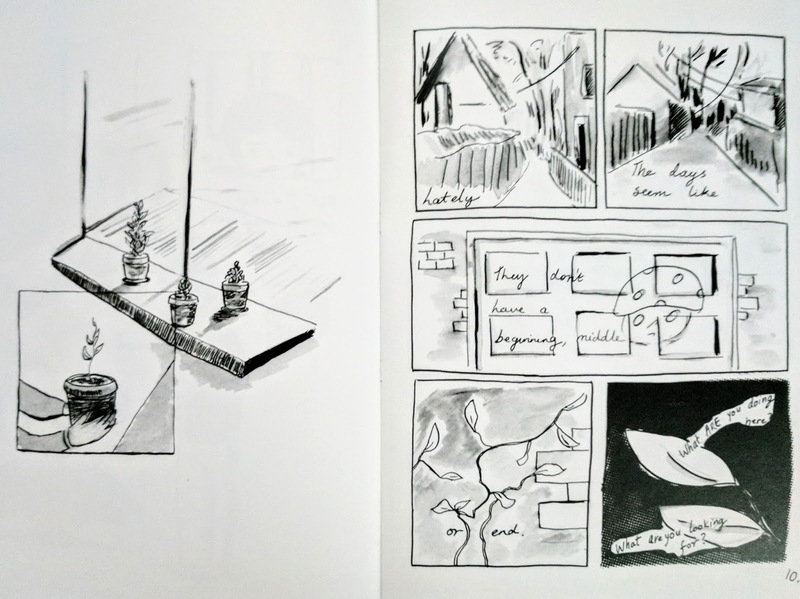 According to a small biography I was able to find on an online magazine called The Rusty Toque, Miauw is “a youth worker, arts facilitator, and comics artist currently living in Toronto. 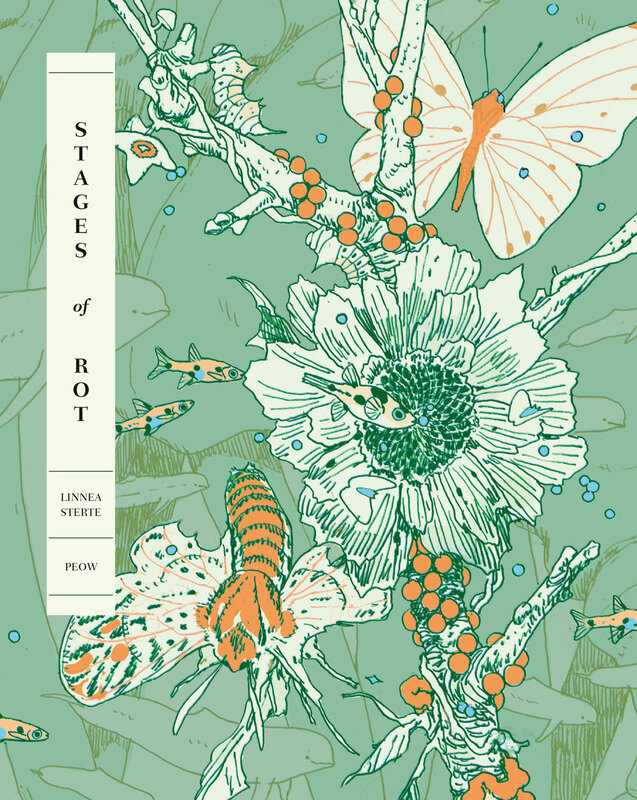 She self-publishes the series Dreams of Loss and Transformation as well as poetry zines.” According to her Instagram account, she’s a self-described “Qweerdo azn femme making comics//illustration//zines”. What Loretta Miauw is most, though, is an amazing artist. SWEAT + TEARS is a love letter at its heart. Addressed to “April”, SWEAT + TEARS follows a young woman that has moved to the city, bolstered by her loneliness, and embarks upon a journey to find missing cats. There’s a heartbreaking honesty to Miauw’s cartooning, an almost furtive grasping of the rawness of her character’s sense of isolation and apartness from those around her, as well as a slowly paced confusion as to motivation that smacks of self-delusion. 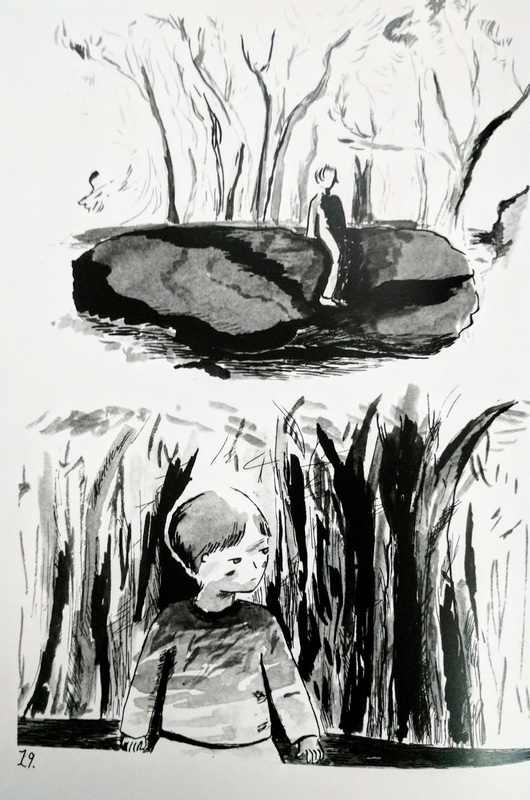 The casual ink-strokes that make up Miauw’s cartooning breathe wide, as if meditative, as if always only steps ahead of an ensuing panic attack. Loss and change are the staples of existence. How we respond to these factors define who we are and shape who we will be. SWEAT + TEARS replies to the questions of “what ARE you doing here” and “what are you looking for” by gently tapping us on the shoulder and pointing at a mirror containing a reflection of ourself through someone else’s eyes. The seemingly random acts in which we suddenly find ourselves engaged often times erupt out of longing for what we once had without us even realizing it. SWEAT + TEARS holds this as an operating principle, but does so with a muted and subdued knowing nod. It is an affirmation, no matter how much this makes the tears stream down our cheeks. I wish I could point you to a place to get your hands on this spectacular book, but I can’t seem to find anywhere online to buy it. On Loretta Miauw’s Tumblr, though, it says, “Enquiries: Loretta.miauw@gmail.com”. I guess you could try her there. See if she has any copies available. Tell her I sent you. It’ll be okay. 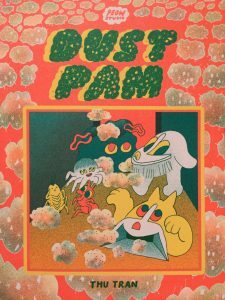 * Alex Hoffman reviews Thu Tran's DUST PAM, which he describes as "a fever dream, a surreal experiment in color, and a fractured burst of manic light." * Hoffman then takes apart the book adaptation and design flaws in ICELAND by Yuichi Yokyama by Retrofit Comics. 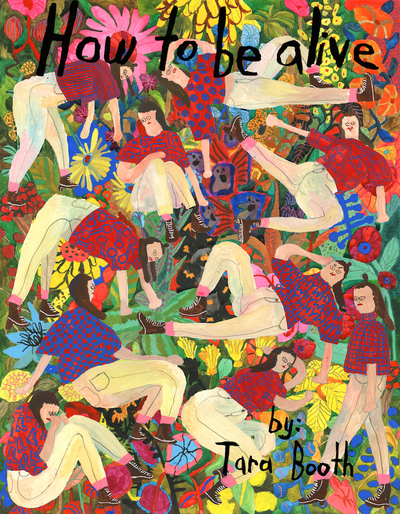 * Tom Baker pens this interesting take on PERFECT HAIR by Tommi Parrish, where the "recurring themes of loneliness, self-preservation, and the complications of adulthood come through loud and clear." * Alenka Figa on Keren Katz's THE ACADEMIC HOUR. This is a book about which I have continuously linked some great writing (Figa's take is no exception), yet I still haven't read. I don't know what this is all about or why I'm even mentioning it, though. Sorry. 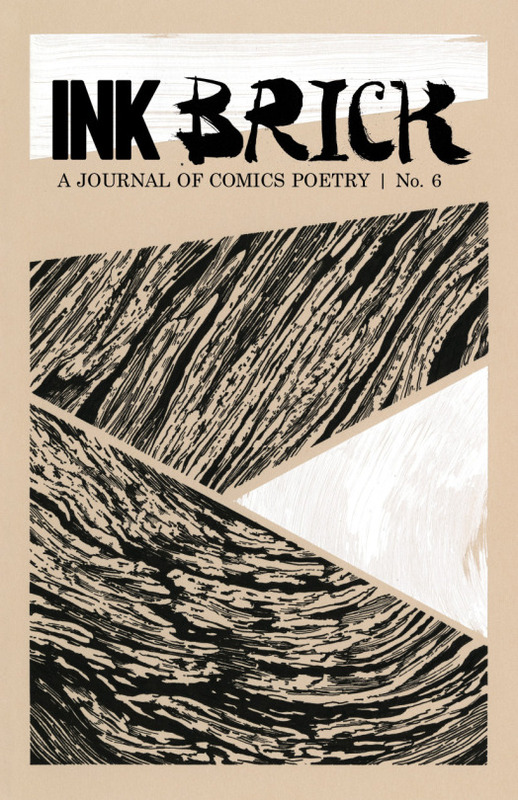 * Alex Thomas does a quick round-up review of three books -- BAKING WITH KAFKA by Tom Gauld, GOOD NEWS BIBLE from Shaky Kane, and BOAT VOLUME 3 by David Lumsden -- in his INDIE COMICS ROUND-UP. * Andy Oliver points out that Josh Hicks is set to release the second issue of his GLORIOUS WRESTLING ALLIANCE series at Thought Bubble on September 23rd. * Hillary Brown takes a look at the implications of panel layouts in Seth's PALOOKAVILLE 23. * Rob Kirby presents an excerpt from Mimi Pond's THE CUSTOMER IS ALWAYS WRONG. * While not particularly about a small press comic, Alex Mansfield's WHY SAGA IS SUCH AN EFFECTIVE GATEWAY COMIC is still a pretty damn good read. * Finally, Some Guy has been writing reviews for Comicon.com. 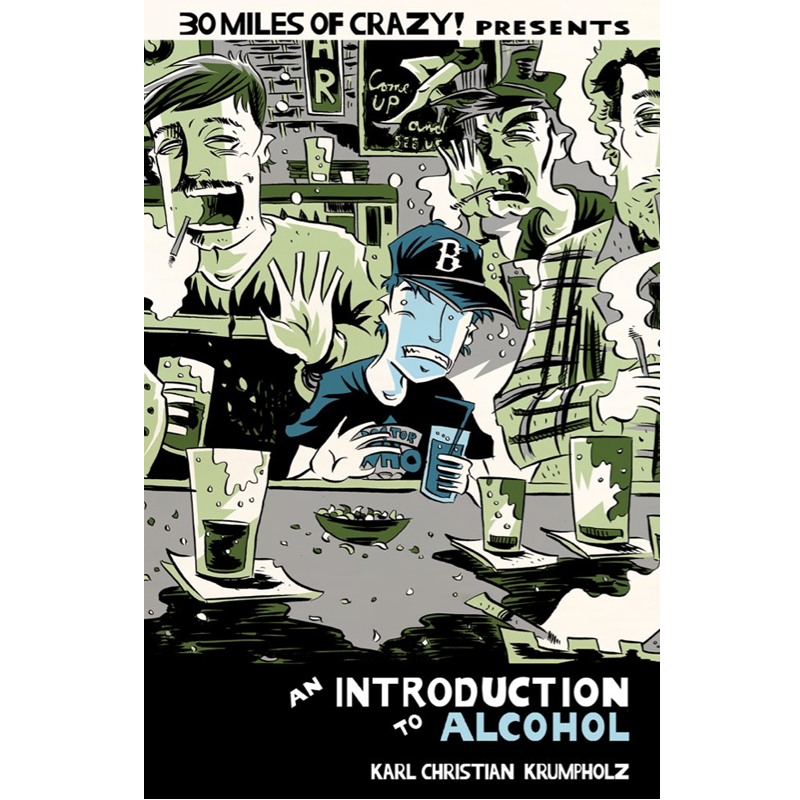 First, AN INTRODUCTION TO ALCOHOL by Karl Christian Krumpholz. Then HOT SUMMER NIGHTS by Freddy Carrasco (shhhhhhh.... that guy was me). * Rob McMonigal is filling Panel Patter with posts called SPX SPOTLIGHT which, interestingly enough, spotlights things about this year's upcoming SPX. SEE YOU THERE! * If you haven't read it yet, your MUST READ this week is Ta-Nehisi Coates' THE FIRST WHITE PRESIDENT. * Katy Waldman's JOHN ASHBERY'S CONVEX MIRROR. "Morality is ambiguous in this book. There is no didacticism or preaching to be found in its pages. Krumpholz’s choices of what to leave in and what to leave out tell the story he wants to tell about his father. At times he crams his pages with panels and text, at other times he lets his stylized cartooning do the emotional lifting. The varied rhythmic result provides the perfect beat for the story. Krumpholz is as much musician as he is cartoonist; his layouts are intricate solos within the larger theme of the song." 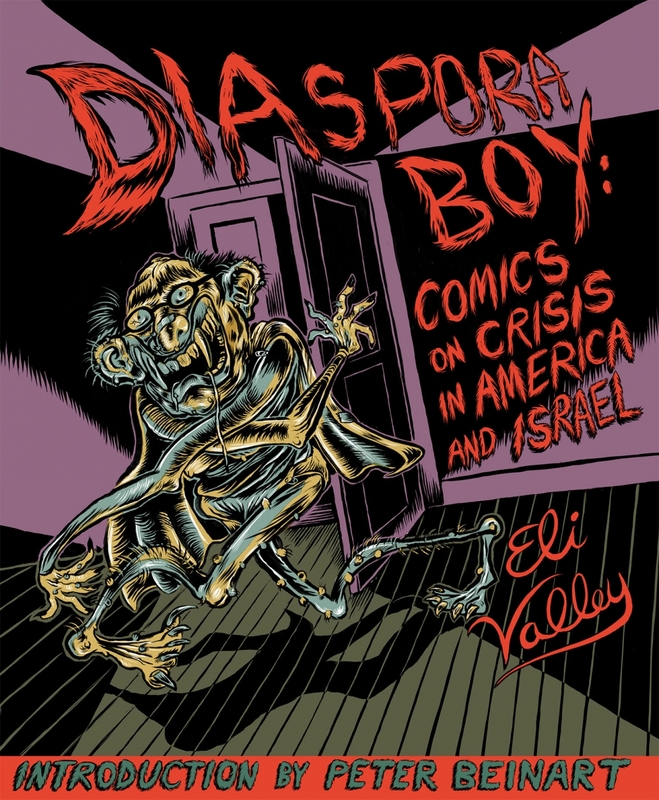 * Sarah Rose Sharp on DIASPORA BOY by Eli Valley, a book that "analyzes the contradictions lodged within the heart of Zionist ideology and how they're an indictment of American Jews." * John Seven on JAM IN THE BAND by Robin Enrico, an "on-target examination of the tug-of-war between nostalgia and change, and how the eternal quality of a youthful experience becomes just a dot on a timeline." 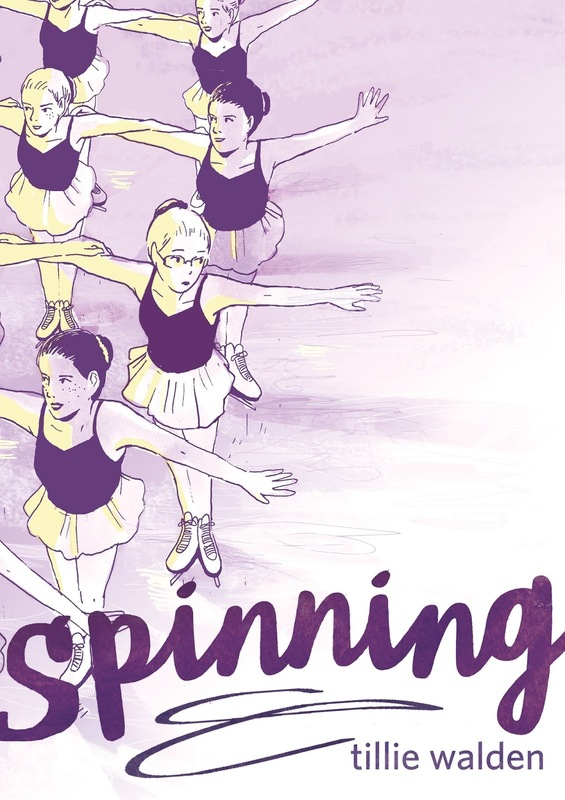 * Melissa Brinks looks at LONG LOST by Matthew Erman and Lisa Sterle, a book where "you're being thrown in the deep end and effectively told to figure it out as you go." * Andy Oliver reviews A PORTRAIT OF SHEFFIELD by Anja Uhren, "a reminder that there are still a wealth of possibilities in how we react to and interact with graphic storytelling in print that digital delivery can never emulate." * Zainab Akhtar spends an hour crafting these thoughts about YOU AND A BIKE AND A ROAD by Eleanor Davis, which just goes to show you that an hour of Zainab's time is three days for me. 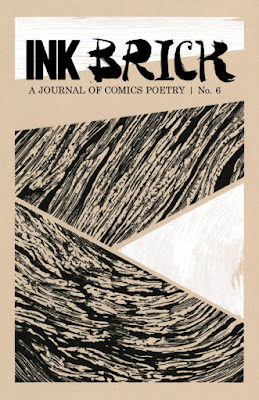 * Rob Clough reviews POPE HATS #5 from Ethan Rilly, a book about "personal agency when faced with a culture that steamrolls indecision." * Corissa Haury lauds praises on the work of cartoonist KATIE O'NEILL, in which Haury says, "Though there are serious themes in these stories like societal expectations for queer people or psychological trauma, O'Neill's comics are untainted by violence and rage." * Jon Hogan on Sonny Liew's THE ART OF CHARLIE CHAN HOCK CHYE, "a graphic novel worthy of its fans and acclaim around the globe." * Ryan Claytor interviews JAMES STRUM on the always amazing Michigan State University Comic Art and Graphic Novel Podcast. * For JACK KIRBY'S 100TH BIRTHDAY, Tom Spurgeon posts panel after panel of why Kirby is King. 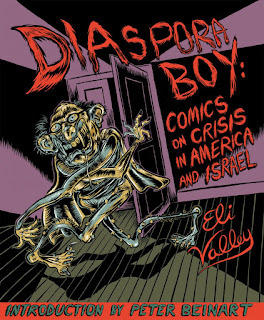 * RJ Casey's well-done take-down, YOE BOOKS: A DISSERVICE TO COMICS HISTORY. * Please take a look at Luke Humphris' WHAT DO WE MEAN WHEN WE SAY "TOXIC MASCULINITY". * Kim O'Connor writes this "tribute" (not sure what else to call it, sorry) to JOE MCCULLOCH on the occasion of his last installment of his long-running column on TCJ. * The SPX 2017 PROGRAMMING SCHEDULE is live and there are some damn fine things happening on that end. Check it out and if you're still on the fence about whether you should attend, this should help you make up your mind. Also, I'll be there celebrating my 50th birthday, so not only will you get great comics and fantastic panels, but you'll also get to buy me drinks. * Paul Berman's ON PHILIP LEVINE, THE WORKINGMAN'S POET.